Trainz is a great escape from the real world when there are those rotten things going on, when one is ill, suffering from personal crisis, or as a way to wile away the time while enjoying one's creative abilities... Read on to find out more about John's perspective on Trainz. 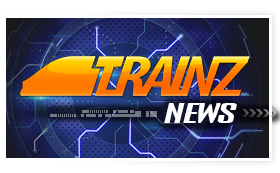 We have setup a Live Chat service for Content Creators to talk in real-time amongst themselves and with the Trainz Team at certain times of the week on all things Trainz Content. Trainz has always provided the option for users to modify the environment settings. You'll soon be able to further improve your in-game lighting with the new "Light Brightness" slider. Discover the techniques required to update your textures to the new PBR / Parallax format for Trainz "Next". Trainz to support any modelling software. Over the years Trainz has been very 3DS-Max focused for asset creation - but not anymore! How full is your Trainz glass?